It’s been just eight months since Matt Maddox, CEO of Wynn Resorts (Nasdaq: WYNN), took the reins of the company following the abrupt departure of founder Steve Wynn following sexual misconduct allegations. During that short time, the company’s board and leadership team have demonstrated they are serious about creating a workplace that fosters diversity and inclusion. Perhaps the most public example of that commitment is the swift nomination and onboarding of three new women board members: Betsy Atkins, Dee Dee Myers and Wendy Webb. Nasdaq reached out to these newly-minted Wynn board members to learn more about the multi-faceted approach the company is taking to restore its employment brand and the trust of all its stakeholders, from shareholders to front-line employees. They shared seven tactics Wynn has employed to emerge from the crisis stronger than ever—and with a world-class employment brand that maximizes its diverse talent pool. 1) Separate the CEO and Chairman roles. When Steve Wynn stepped down, there was naturally concern that Wynn Resorts would have a difficult time separating the man from the brand—the very logo of the company is his signature. However, Matt Maddox, Wynn’s new CEO, has spearheaded a smooth succession—in part because the board separated the roles of chairman and CEO when Steve Wynn stepped down. 2) Bring meaningful gender diversity to the board. The Wynn Resorts leadership team committed to bringing a new perspective to company leadership and the board as the company turned its focus internally on gender diversity, inclusion, and sensitivity. The board recruited Betsy Atkins, Dee Dee Myers, and Wendy Webb through a very robust and transparent process, during which the entire board was fully engaged. Adding three new independent women directors placed the company among the top 40 of S&P 500 companies (by female board representation). 3) Recruit critical skillsets to the board. With its new women board members, Wynn not only improved the board’s gender profile, but added skillsets that will be instrumental in guiding the company going forward. Dee Dee Myers and Wendy Webb each have high PR profiles that can help to bolster Wynn’s brand halo. They also bring critical crisis management, strategic communications and PR skillsets that the board can leverage to help Wynn communicate its new strategies and navigate the leadership transition smoothly. Wynn Resorts is actually five businesses in one: entertainment, retail, hospitality, gaming, and dining, so there are myriad ways the company can leverage the talents and expertise of its new board members. Wendy spent 20 years as a senior executive at The Walt Disney Company, so she has an entertainment and direct-to-consumer perspective that is valuable on the Wynn Resorts board. Dee Dee also brings considerable experience in public relations, messaging, transition management, and crisis management. She is currently executive vice president for worldwide corporate communications and public affairs at Warner Bros. Entertainment, so she is very familiar with the ripple effects of #MeToo issues. Betsy Atkins’ background as a veteran board member and a tech entrepreneur with experience with digital transformation, AI, branding, retail ecommerce and creating seamless omnichannel consumer experiences can be applied a number of ways to Wynn’s business lines. 4) Benchmark the current culture. 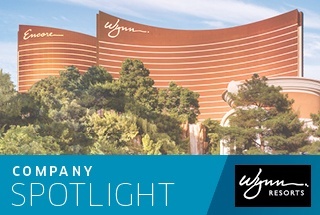 The board and management team of Wynn are committed to having a workplace where every employee feels safe, supported, and has equal opportunities to develop his or her full potential. The first thing Matt and his leadership team did was benchmark the current culture. Wynn conducted an employee-wide survey based on Fortune’s “100 Best Companies to Work For” survey, adding questions related to diversity, working women, harassment, discrimination, and women’s leadership opportunities to get a full baseline of how employees perceive the culture and working environment at Wynn Resorts. The leadership team has done a preliminary read-out of the results. Several focus groups have been created, each working on the departments that have the biggest impact on the employee base. In addition, Wynn has engaged a compensation consultant to conduct a comprehensive pay equity study and a promotion equity study to review the rate of succession by gender and by ethnic groups. The company is also working with the Secretary of State of Nevada to participate in their gender equity workplace study. 5) Create a new division focused on leadership development. Wynn has created a new division, the Culture and Community Department, which is specifically focused on leadership and development, diversity and inclusion, community relations, and gender equality. The entire 25,000 employee workforce of Wynn will feel the impact of the rollout of this division. As part of this initiative, Wynn launched a Women’s Leadership Council, and all four women directors (there was already one woman on the board, Patricia Mulroy) participated in the kickoff and will be involved going forward. The council will host town hall meetings, chats, and networking events to promote advancement of the female employee base. Wynn is also expanding its already robust internal organizational development program to include leadership development curriculum that covers its broad employee base. There are classes that develop interns into first-time leaders, courses to develop supervisors and managers, courses for rising directors and senior VPs, and training for junior executives reporting to Wynn’s C-suite. 6) Roll out a comprehensive compliance and education program. Wynn Resorts has revisited and updated its internal employee “code of conduct” and associated training and taken that process a step further by adding specific diversity and inclusion courses. The content and complexity of the courses are tailored by the level of employee: directors and above take an eight-hour course, first-line managers or supervisors take a four-hour course, and line level employees in hospitality, restaurants or retail take a two-hour course. The curriculum includes unconscious bias awareness, updated anti-sexual harassment and compliance training, and very comprehensive reporting training for management. An outside firm is implementing the program, which is supervised and owned at the senior level of Wynn’s internal human resources and legal departments. 7) Rebuild trust with shareholders and foster support for long-term strategies. As Wynn’s leadership team began rolling out internal strategies to bolster trust with employees and consumers, the board participated directly in the most recent proxy outreach season. The goal was to update shareholders on how the company’s leadership team is navigating the leadership transition and to generate support for the new long-term strategies the company is implementing to ensure the employee brand is strong. Wynn Resorts (Nasdaq: WYNN) is a $16 billion developer and operator of premium resorts and casinos. Margaret J. “Dee Dee” Myers has been Executive Vice President, Worldwide Corporate Communications and Public Affairs for Warner Bros. Entertainment, a broad-based entertainment company and division of TimeWarner, Inc., since September 2014. She also serves on the board of the National Museum of American History. Myers served as White House Press Secretary under President Bill Clinton during his first term. Winifred “Wendy” Webb has been Chief Executive Officer of Kestrel Corporate Advisors, an advisory services firm counseling corporate and non-profit organizations on strategic business issues, including growth initiatives, digital marketing, board governance and investor relations, since February 2013. Ms. Webb currently serves on the Boards of ABM Industries (since 2014) and 9 Spokes (since 2015). She also serves as Co-Chair of Women Corporate Directors, Los Angeles/Orange County Chapter.